Our CSA provides fresh vegetables for 36-38 weeks during the Spring, Summer, Fall and winter months of May through mid-January. As a full member, you will receive a weekly box of fresh vegetables during these months. A half share will receive a full box every other week. Our CSA includes a variety of fresh vegetables, fruit, herbs and eggs. Being a part of a CSA usually means you share the risks and benefits of farm production, with ours' we have crop insurance to help protect our clients in case anything happens to our crops. The exact selections and quantities included in the weekly distribution will change as the season progresses. In joining the CSA, you will agree to share in the fluctuations and variations inherent in farming, and understand that your produce will be locally grown with sound sustainable farming practices. We put up a hoop house in the fall of 2015. With this hoop house we will be able to start growing some of our produce earlier and grow some others later in the season. 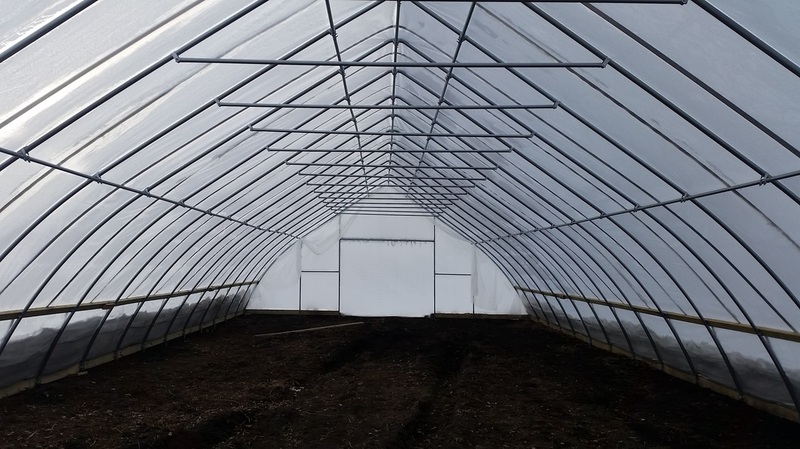 This winter we were pleasantly surprised to find that the dirt in the hoop house didn't freeze, and that some of the crops that we left in there continued to grow.